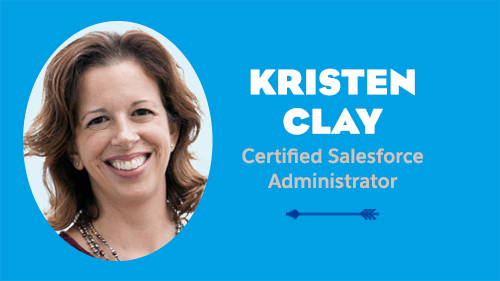 Kristen Clay is a trailblazing certified Salesforce Administrator who lives in Marblehead, MA with her husband, Steve, and two boys. 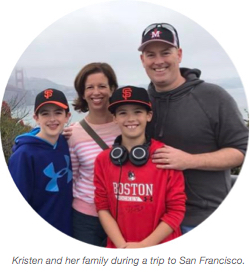 In her spare time, Kristen enjoys cheering on her sons at local youth baseball and hockey games, as well as planting, harvesting, and organizing volunteers at a community garden that provides organic veggies and herbs for her local food pantry. 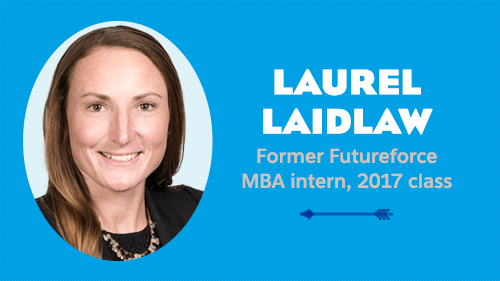 Before taking time out to raise my kids, I had many years' experience building and managing an inside sales team, and always had an interest and focus on sales operations. Back then, making things work smoothly and efficiently, using data to analyze results, draw connections, and make improvements was my forte. But after a decade focused on diapers, first steps, play dates, baseball, and hockey practice—pouring so much of “me” into my family—I knew times had changed. I'd lost focus on my professional goals, skills, strengths, and aspirations. I couldn't help but wonder, “How are my skills relevant in today’s market?” I found making the leap from stay-at-home mom to reentering the workforce full-time a daunting prospect, to say the least! My first move back into employment was as a part-time, inside sales rep with a boutique consulting firm. Talk about leaping from old-school experience straight into a decade worth of new tech! I had the basic sales skills, but there had definitely been an upgrade in the toolkit. 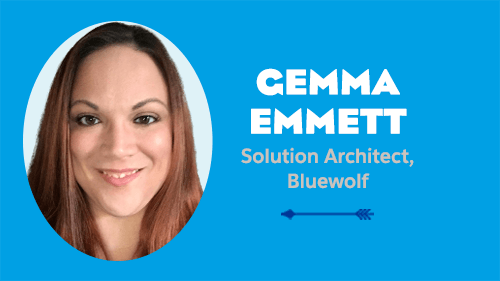 After my first interaction with Salesforce, I simply thought, “Wow!” The platform was so intuitive and, as a user, I could customize it quite easily. Then, my curiosity and need to make things more efficient kicked in. Here was the old me I remembered! I began researching and making suggestions to my manager on ways to better organize our lists. I used a console view and created better dashboards to showcase our results and findings to our clients. 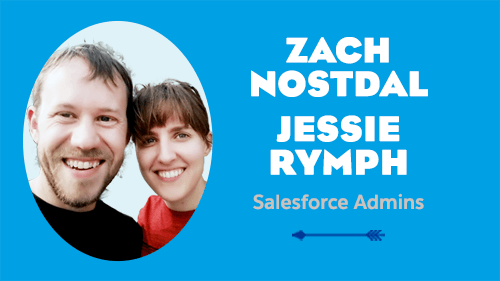 Before long, I was promoted to Account Manager and then Practice Leader, I also became an “accidental admin” and was often asked to customize our client’s Salesforce orgs, despite my lack of formal training. 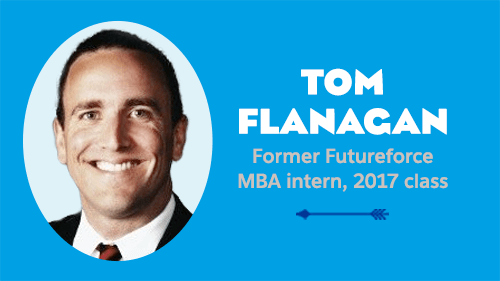 My next move was a full-time contracting job as a sales operations analyst — relatively safe territory for me! 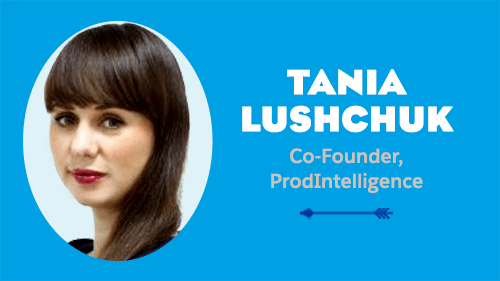 I know numbers, I can pull data, work in Excel, and analyze results to provide data-backed insights. It was interesting work at first, but my colleague in the cube next to me was a (cloud parts, sun shines, cue the harp music) Salesforce Administrator. He was always on the phone talking users through a workflow or with a fellow admin brainstorming how to accomplish some really cool process. I found myself listening in and then asking him to show me what he was doing. This guy was really improving the sales team’s productivity and efficiency through Salesforce. After about my 500th question, my colleague wisely introduced me to Trailhead. Still convinced I wasn’t technically savvy enough, I tentatively worked my way through some modules. Trailhead was it. My 'aha!' moment. “I CAN be an Administrator!” I cried out (well, in my head anyway). I was hooked. 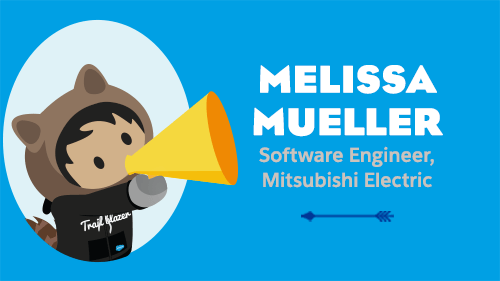 As my contract was coming to an end, I reached out to some former colleagues and learned that a Salesforce Administrator role was available. A key requirement, however, was that they had to be Salesforce Administrator certified. 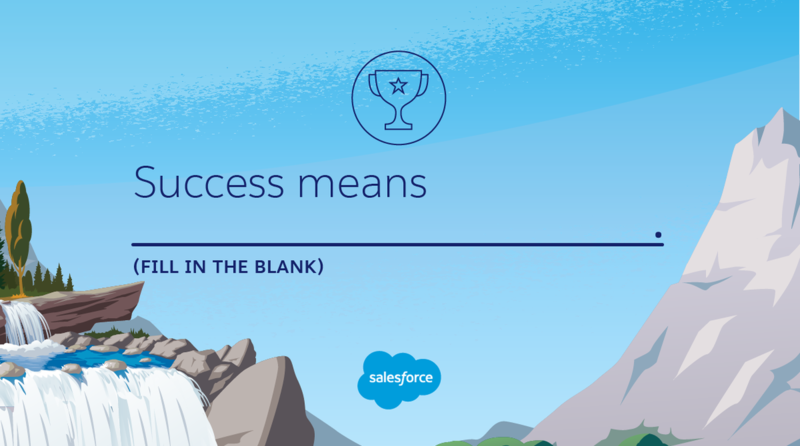 In a completely serendipitous turn of events, I took a call from Lauren Todt at K2 Partnering Solutions, a global staffing partner to Salesforce and Salesforce Authorized Training Provider, who offered me a spot in their official Salesforce Administrator course to prepare to become Salesforce certified. Sometimes, the stars just align. This was clearly a message to break me out of my shell, be brave, and just go for it. So I did. And I rocked that exam on the last day of the course! 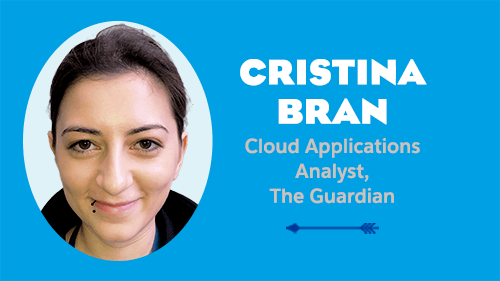 I began my new job as a fully-fledged Salesforce Administrator in September 2017. I was, and still am, so proud of myself. With the support of my husband (now designated cook and homework helper), the transition back into the workplace has gone so much better than I ever dreamed. I love being in the thick of things, and now I am a (cloud parts, sun shines, cue the harp music) Salesforce Administrator. I still have to pinch myself, but I'm now responsible for about 100 users in our North America sales region, including executives, managers, sales reps, sales engineers, and inside business development reps. It was at Dreamforce '17 that I first felt the Ohana spirit. I'd heard about the Salesforce Ohana, but I didn't fully appreciate what it meant. Honestly, I figured it was just a marketing gimmick. However, after just a short time in the Admin Meadow, I was already making connections with other Salesforce Admins at the “Ask an Expert” kiosk. I also had the opportunity to speak with Elna Miller, whom I’d recognized from the Release Readiness Webinars I’d been studying. She took the time to chat with me in the hallway after one of her sessions. I truly felt like this is where I belonged. Now, I'm no longer “just” a stay-at-home mom who is hesitatingly and nervously re-entering the workforce. I'm a part of a community of supportive Trailblazers. I’ve never been a big networker, but I found it so easy to connect with fellow Admins and really feel a part of this community committed to success and learning. I took this feeling of “family” back to the office and scheduled weekly Salesforce Ohana meetings. At first, my colleagues were slow to open up, but now, this has become our favorite time of the week. 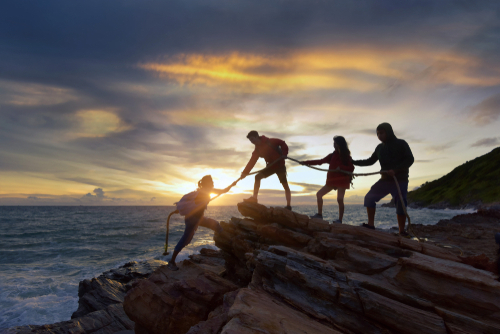 We come together as a team to support each other, lay out our priorities, and figure out how to accomplish our mutual goals. 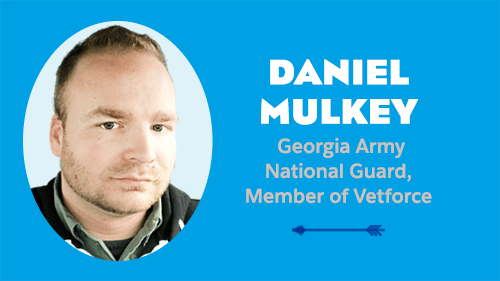 We also share stories of earning Trailhead badges and completing challenges, admit our silliest mistakes, and find relief that we’re all in this together. The beauty of Trailhead is that it's available whenever I am. I used the Intermediate Admin trails in preparation for my Advanced Administrator certification that I recently passed (I'll be sure to get it up on my bulletin board too!). My son plays hockey and loves to be at the rink at least an hour before his games. This used to frustrate me to no end — having to just hang out and wait — but now I can be productive and complete a module or two before heading into the game! I'm sure I'll reach Ranger Rank in no time. I've also started encouraging other people and teams within the company to use Trailhead. I recently used it to evaluate whether two recent graduates, who were interning for us, would be good candidates for entry-level Salesforce Associate roles (spoiler alert, they were!). 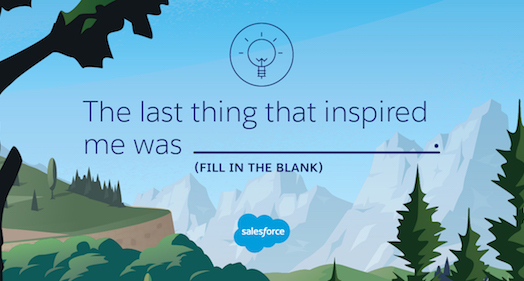 There's literally something for everyone in Trailhead. 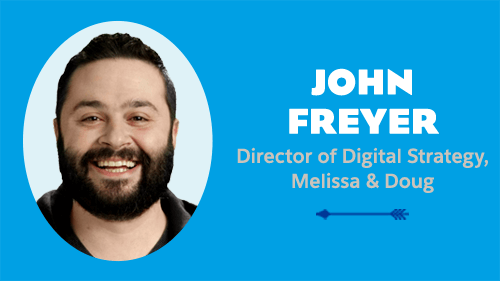 We've sent our senior executives to Trailhead to build their knowledge of Salesforce, and before engaging in too much back and forth with any user, I always ensure they've completed the beginner trails so we're all on the same page. 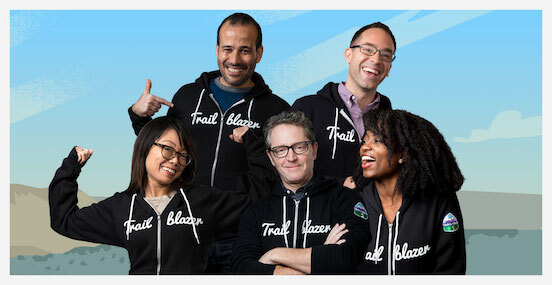 Trailhead is a big—and definitely growing—part of our continuous learning strategy. Even in our Ohana meetings, we've started talking about our badge count, promoting a healthy dose of competition within the team. I'm currently working with the team to put together our roadmap for Lightning. We're very excited about the possibilities that Lightning Experience brings and are getting ready to dig in and take our implementation to a whole new level. As a relatively new Admin, I still have lots of questions...all the time. Trailhead Lightning content is always my first stop for answers. On Trailhead, I love the way concepts are broken down into fun, everyday language that everyone can understand (I especially enjoyed the Build a Battle Station App project! ), and the hands-on challenges are immediately evaluated to give you the vital feedback you need to learn. 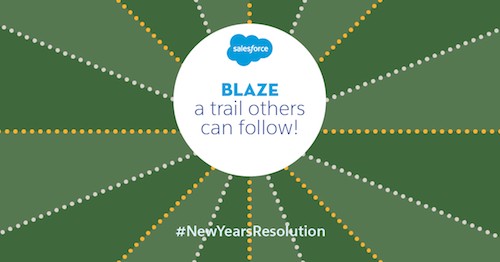 I’m also constantly in the Trailblazer Community. It's reassuring to know that I’m not the only one who has so many questions, and the community is so positive and supportive—truly a breath of fresh air when I’m not quite sure how to do something. I guess the biggest lesson I've learned, and what I'm most proud of to date, is how I was able to use both my operations and business experience and the Salesforce community to launch a new career after more than 10 years as a stay-at-home mom. There was no need to worry that I wasn't “technical” enough at the declarative (click not code) aspects of Salesforce. 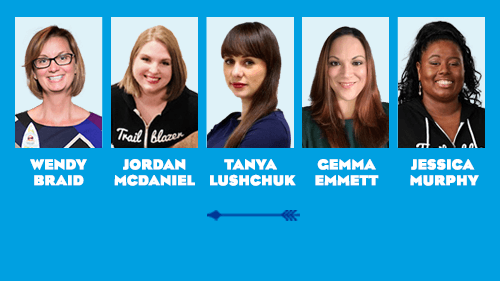 The plethora of resources available—including, of course, the gem that is Trailhead—and the inspiring Trailblazer Community, are all designed to set you up for success. I also love how Salesforce really is all about continuous learning and that the opportunities are endless. 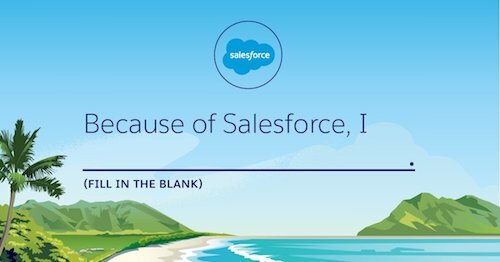 It was a leap of faith for me to jump into the world of Salesforce administration. I'm so glad that I did. Now, less than a year later, I'm a 2x certified #AwesomeAdmin hoping to become a Trailhead Ranger very soon...and my journey is only just beginning! See you on the trails.